Between us we have pretty good problem-solving skills that will get us through most challenges but faced with sewing fur protection onto the hoods of 11 jackets, plus plenty of large embroidered patches to display our wonderful sponsors, it was clear that we needed the help of a professional! 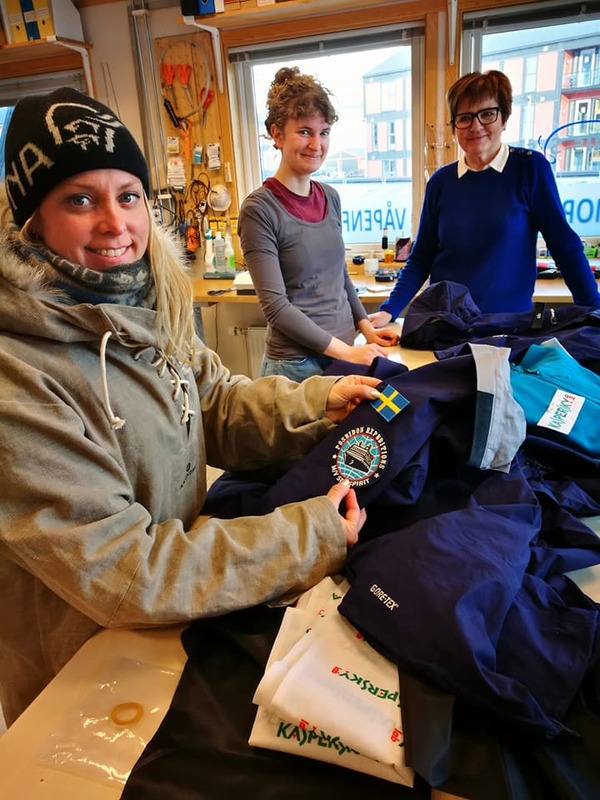 Today we delivered all 11 jackets plus our three Hilleberg tents needing their snow skirts attached to Randi, Longyearbyen's expert seamstress. We are very much looking forward to seeing the finished jackets which will then look like proper explorer clothing! Newer PostThe advance team is growing!